The Cult of Ghoul: 13.11.2009.
ovo je besplatna reklama za dve knjige koje ću svakako pošteno kupiti prvom prilikom, jer ih preporučuje ne samo tematika nego, pre svega, renome priređivača i autora priča. već i na neviđeno, iz najava i prvih prikaza, jasno je da se radi o neprocenjivim novim dokazima večne popularnosti lavkrafta i njegovog osobenog pristupa hororu. "The stories are legendary, the characters unforgettable, the world horrible and disturbing. Howard Phillips Lovecraft may have been a writer for only a short time, but the creations he left behind after his death in 1935 have shaped modern horror more than any other author in the last two centuries: the shambling god Cthulhu, and the other deities of the Elder Things, the Outer Gods, and the Great Old Ones, and Herbert West, Reanimator, a doctor who unlocked the secrets of life and death at a terrible cost. 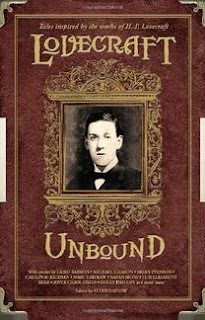 In LOVECRAFT UNBOUND, more than twenty of today's most prominent writers of literature and dark fantasy tell stories set in or inspired by the works of H. P. Lovecraft." What these stories, and others in the collection, have in common is the idea that we are blind to the true nature of the world around us, and that there are things going on behind the thin veil of reality that would drive us mad in a single glance. Selections range in tone from the darkly humorous to the sublimely horrific, and all show the contributors to be perceptive interpreters of Lovecraft's work. Readers who know Lovecraft s legacy mostly through turgid and tentacled Cthulhu Mythos pastiches will find this book a treasure trove of literary terrors. At the end of each story there was a brief biography of the author and a comment by them about how HPL influenced them or their story. a ako vam elen detlou nije dovoljan autoritet kao priređivač vrsnih antologija, šta onda kažete za s.t. džošija, vodećeg svetskog znalca za sve stvari vezane za lavkrafta? evo šta im u njegovoj antologiji novih priča! 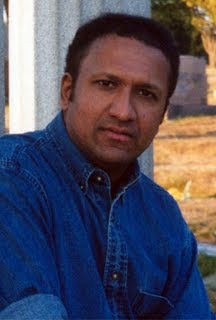 The work of H. P. Lovecraft continues to inspire many of the leading contemporary authors of horror and the supernatural. In this anthology, S. T. Joshi, the world's leading expert on Lovecraft and the author of the lively treatise The Rise and Fall of the Cthulhu Mythos, tries his hand at assembling a modern-day Lovecraftian anthology, casting his net on both sides of the Atlantic and producing a volume that radically expands our notions of what constitutes "Lovecraftian" fiction. Caitlín R. Kiernan, Brian Stableford, and Nicholas Royle produce innovative deconstructions of Lovecraft's "Pickman's Model" and "The Hound." Michael Shea transfers the Cthulhu Mythos to San Francisco, Laird Barron and Philip Haldeman set their Lovecraftian horrors in the Pacific Northwest, and Donald R. Burleson and William Browning Spencer enliven the parched Southwest with cosmic monsters. Ramsey Campbell, Jonathan Thomas, Jason Van Hollander, and others make Lovecraft himself a character in tales of cosmic menace, while David J. Schow and Michael Cisco ring new changes on the Lovecraftian concept of the forbidden book. These and other stories by Michael Marshall Smith, Norman Partridge, W. H. Pugmire, Joseph S. Pulver, Sr., Darrell Schweitzer, Donald R. and Mollie L. Burleson, Sam Gafford, and Adam Niswander all reveal how vital and vibrant the Lovecraftian idiom remains . . . and how terrifying. "Engravings" - Joseph S Pulver, Sr.
elenina knjiga je izašla i već je mesec dana u prodaji, dok džošijeva izlazi do kraja godine ili na samom početku 2010.